Mother of cocoa | Infonet Biovision Home. It is native to El Salvador, Guatemala, Honduras, Mexico, Nicaragua, Panama and US. 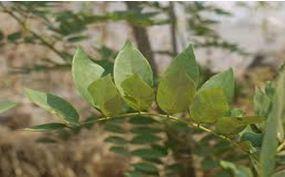 A tree or shrub, it is wide spread in the tropics due to its many uses and speed of growth. The Latin name means "rat-killer" as a poison can be made from the leaves which is toxic to rats as well as other non-ruminants like pigs, donkeys and horses. Bark, roots and seeds may also contain poison. A very useful quick fence can be grown from crossed stakes which soon sprout. Wood is resistant to termites. It grows in a variety of soils, both acidic and those low in fertility, mainly in humid lowlands. Altitude is between 0 - 1,600 m. In Kenya it also does well in drier areas like Kitui and Isiolo. Agro-ecological zones III - VI. Propagation is by seedlings, cuttings and direct sowing at site. Cuttings are the best option for live fence. They are fast growing; pruning and pollarding are the main management activities. Pruning at 0.3 - 1.5 m stimulates leaf production and pollarding at 2 m or above is recommended for optimal wood biomass production. Coppicing is used where the primary objective is firewood production. G. sepium has been shown to tolerate lopping and browsing. Food: Flowers can be fried and eaten. Fodder: G. sepium leaves are rich in protein and highly digestible, and low in fibre and tannin. There is evidence of improved animal production (both milk and meat) in large and small ruminants when G. sepium is used as a supplement. Goats on G. sepium gained weight and maintained a positive N balance. However, non-ruminants fed on G. sepium have shown clear signs of poisoning. Perceptions of palatability vary greatly around the world. There are reports from India and Indonesia of limitations to its use because animals will not eat it. In some areas, such as Colombia and Sri Lanka, there is no palatability constraint and it is an important dry-season feed. Apiculture: The flowers attract honeybees (Apis spp. ), hence it is an important species for honey production. Fuel: Often used for firewood and charcoal production. The wood burns slowly without sparking and with little smoke, so it is an important fuelwood in the subhumid tropics. The calorific value of a 5-year-old tree is 4550 kcal/kg. Timber: Gliricidia has light brown sapwood and dark brown heartwood, turning reddish-brown on exposure to air. It is hard, coarse textured with an irregular grain, very durable and termite resistant. Wood is utilized for railway sleepers, farm implements, furniture, house construction and as mother posts in live-fence establishment. Poison: The leaves, seeds or powdered bark are toxic to humans when mixed with cooked rice or maize and fermented. The mechanism of toxicity is not understood. G. sepium has found application as a rodenticide and general pesticide. Medicine: Crude extracts have been shown to have antifungal activity. Reported to be expectorant, sedative and suppurative. Madre de cacao is a folk remedy for alopecia, boils, bruises, burns, colds, cough, debility, eruptions, erysipelas, fever, fractures, gangrene, headache, itch, prickly heat, rheumatism, skin tumours, ulcers, urticaria and wounds. Erosion control: Hedgerows in alley cropping serve to suppress weed growth and control erosion and have been shown to reduce the incidence of disease in groundnut crops. Shade or shelter: G. sepium is widely cultivated as shade for perennial crops (tea, coffee and cocoa). It is also used as a nurse tree for shade-loving species. Attributes contributing to its value as a shade tree include its fine, feathery foliage giving light shade, and the ability to withstand repeated pruning and to resprout vigorously. Reclamation: G. sepium has been planted to reclaim denuded land or land infested with Imperata cylindrica. Nitrogen fixing: The tree is capable of fixing atmospheric nitrogen. Soil improver: As a green manure, G. sepium increases soil organic matter; it aids in recycling of soil nutrients as it produces much litter. It also improves soil aeration and reduces soil temperature. It is a drought-resistant and valuable water-conserving species, because in the dry season it sheds most of its leaves, hence reducing water loss through transpiration. Boundary/barrier/support: Suitable for live fencing around cattle pastures and for delineating boundaries. Its fast growth, ease of propagation, nitrogen fixing ability and light canopy makes it ideal as a live stakes. It has been used to support black pepper, vanilla and yam in West Africa and India. Other services: The predictable relationship between flowering in G. sepium and the onset of the rainy season in Venezuela shows that it is a promising indicator species. Cercosporidium gliricidiasis, causes small, light brown, rounded spots with dark borders and is widely recorded. Other diseases include Sirosporium gliricidiae, which is associated with poor-growing trees, on which attacks can often result in moderate defoliation; Cladosporium sp., which caused defoliation in Costa Rica; and scab, Sphaceloma spp., which is manifested as brown lesions on the petioles and stems, has been found in Honduras. Of significant interest is the fact that it is resistant to the psyllid Heteropsylla cubana, which has caused serious devastation toLeucaena leucocephala. Twig, stem and branch die-back caused by Botryosphaeria, Nectria and Phomopsis spp. have been recorded in Central America, Asia and Africa. Virus-like symptoms, including leaf curl, shoestring leaves, foliar distortion, mosaic, and mottle, have been noted in Central America. Leaf defoliators such as Hylesia lineata, Erynnis spp. and Spodoptera spp. have been reported to attack trees less than 3 years old as well as older trees in Central America. The aphid Aphis craccivora has been reported widely in India, Uganda and Trinidad. There have been no serious attacks from these insect pests except in the Dominican Republic, where serious aphid attacks have been recorded. In its natural range, G. sepium has been observed to die back extensively following production of abnormally small leaves (little leaf disease). Maundu P. and Bo Tengnas. (2005). Useful trees and shrubs for Kenya, World Agroforestry Centre. ISBN-9966-896-70-8.